RIM will display all new 30 blackberry handsets soon which will have the newly made OS. This will be their last chance to stay relevant in the market when it comes to competitors like Google and Apple. The all new revamped Blackberry 10 is going to debut on January 30th. All the announcements made will disclose the shipping dates, prices . The mobile industry newsletter Fierce Wireless have received the confirmation that all the carriers like AT&T, Verizon, Wireless, Sprint, and T-Mobile would carry the new phone. All the models will be screen only barring one which will be the QWERTY keypad. About the new Blackberry10 RIM said it will be good one for multi tasking, with a modern web browser, and a new interface for on screen keyboards, and also a profile feature that helps you quickly switch between office and personal configurations. The new phones can run almost all the android applications written for the 2011 versions. However that will be possible, after Blackberry is able to accommodate them with their development tools. That may not be upto the users, as it has to be done by the applications original programmers. The ability for a mobile computing platform to run programs made for another is unique. But as per the information on the Black berry software development site, not all the features will be supported. It is still unclear if it can run software designed for newer versions of Android. It has been noted that even amongst phones which are all based on different versions of the same Android, there could be a software compatibility problem. So if this OS will work on others remains to be known. "RIM will build a very high-quality product," Mathias said, in Ashland, Mass. But even if the Waterloo, Ontario-based RIM makes all the right technical and marketing moves, it still probably won't have features compelling enough to make iPhone and Android users switch, he said. The new Blackberry 10 devices are really well designed and impressive, however the chances of RIM standing against the other competitors well known are bleak. 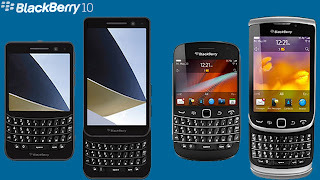 0 Respones to "New Blackberry10"